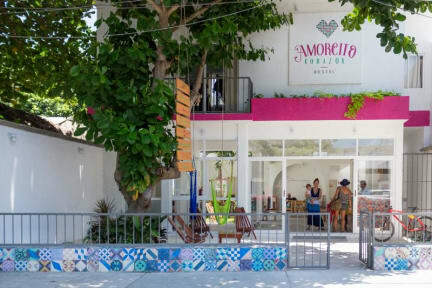 If you decide to stay in Tulum town as opposed to the beach then this is the place to stay. Right beside the bus station and a colectivo stop, just off the main strip so everything is walking distance but still nice and quiet. The staff were really helpful with food recommendations, advice on where to visit etc. great hostel! Very nice facilities and rooms, super super clean. Nice breakfast and pool. Extended my stay as the staff and atmosphere are great, and it’s very quiet at night. Amazing! Right next to ADO Bus station and close to everything! Best beds and pillows! Amazing pool! Just a fantastic place! Defo be back! Loved this place and Fausto was great. This place is so awesome. Comfiest beds I have ever come across in a hostel! Lots of areas to hang out, great kitchen and great breakfast. Staff are super friendly and give loads of good recs. really clean! Highly recommend! Loved this hotel. Rooms were super clean, location is great as it’s so close to the ADO station, the bike rental was very useful and it was so easy to make friends over breakfast! The pool was a nice touch too. Beautiful, clean and chilled hostel. Vanessa in the morning reception is extremely helpful for anything that you need. Kitchen area and pool is amazing. Would recommend to anyone! 100% will stay here again. 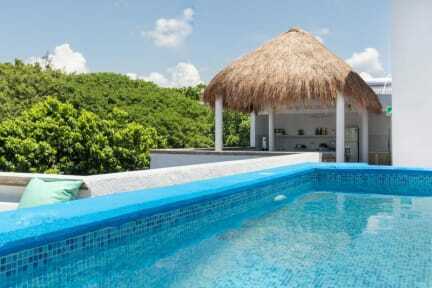 Really comfy beds and nice pool and terrace! Great showers too. Would definitely recommend! I've been to Tulum a few times and really enjoyed this hostel in particular. Beds are REALLY comfy, which is hard to find in hostels. Rooftop patio with a little pool and some lounge chairs is a plus. Everyone who worked there was super happy and helpful and flexible. Bikes for rent on site and very close to the bus station proved to be handy for day trips and avoiding lines for buying tickets! Was very chill...a nice atmosphere, but very chill at night if you're looking for something else. The hostel was very clean and the pool was the best part of it. The atmosphere was not what I wanted because no one interacted with each other. Our room the AC didn't really worked so it was very very hot at night and the toilet was broken...Compare to other hostel the breakfast was very basic.